Guest post by Jeff Lin, senior vice president of product management, InstaMed. The amount a patient must now pay before a health plan covers any portion of the balance has increased 67 percent in five years, according to the Kaiser Family Foundation. This surge in patient responsibility is driven primarily by enrollment in high-deductible health plans which require patients to pay towards a certain minimum balance before the plan benefits begin. According to HealthPocket, deductibles are expected to increase 8 percent to $6,480 for a family plan, further increasing patient balances. Despite this growing trend, many patients leave their visit without any expectation that they will receive a bill or a discussion about how to make a payment. Therefore, it should come as no surprise that providers can expect to collect only 50 percent to 70 percent of a patient balance after a visit (McKinsey and Company). As patients’ out-of-pocket expenses continue to grow, healthcare providers of all sizes will need to focus on improving the payment experience to ensure patient collections and the future of their organization. Providers can look to best practices from other industries to guarantee their revenue while making it simple for patients to pay their responsibility. Just like reserving a hotel room, providers can require that all patients present a payment method before the time of service to ensure the responsibility is automatically paid with low staff intervention. Patients are familiar with this process from their experiences in other industries and often prefer automated, simple payments. Providers can leverage innovative payment technology to securely automate payment collection with saved payment methods. Nearly 70 percent of patients surveyed said they pay their non-healthcare bills such as cable or utility bills online or through a bank bill portal, according to the 2014 Trends in Healthcare Payments Annual Report. This demonstrates that patients prefer to make payments through convenient payment channels. However, these payment channels are simply not always available in the healthcare industry. To enhance the payment experience, providers can easily allow patients to pay online or through a website where they are already accustomed to visiting and paying bills. For instance, many health plans offer member portals,which enable patients to manage claims and view benefit amounts. By enabling patients to make online payments to all of their providers through these member portals, providers will receive a payment as soon as the claim is adjudicated – all without ever sending a statement or making a phone call. High deductibles can result in large balances for a single patient visit which can make it difficult for a patient to pay their total balance at one time. Automated, customized payment plans can help patients pay down these large balances over time without relying on paper statements, staff follow-up calls and manual payment posting. As a best practice, these plans should enable providers to automatically collect payments in a secure and compliant way with automated notifications and receipts to the patients. The healthcare payments market is growing rapidly and is estimated to reach $5 trillion by 2022 as a total of both payer and consumer payments. The fastest growing portion of the market is payments from consumers for healthcare services and health plan premiums as a result of shifting payment responsibility and changes because of health reform. 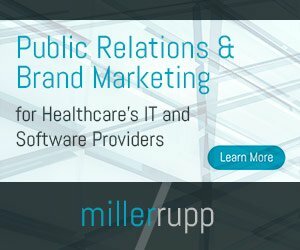 However, the healthcare industry is struggling to address the new role of consumers in the payments process with more than 30 percent of healthcare dollars considered to be wasted because of inefficient, disjointed payment processing and costs associated with paper-based billing and administrative processes. These costs are expected to continue to increase unless the healthcare industry recognizes and addresses the critical role of consumer choice and the impact of the digital economy on payment options. These latest trends and best practices presented in InstaMed’s Trends in Healthcare Payments Annual Report 2014 outline a critical need for healthcare industry professionals to focus on consumer preferences and their emerging role in the payments process. Healthcare providers and payers who offer consumers preferred payment methods, including card payments and online payments, reduce confusion and ultimately increase collections. Additionally, new electronic payment channels, such as mobile payments and Apple Pay, will further accommodate consumers’ expectations for simple billing and convenient ways to pay. A focus on streamlining the consumer payment experience will improve collection rates, increase consumer satisfaction, and enhance profitability and cash flow. The following infographic illustrates the top trends, industry challenges and best practices to enable healthcare organizations to adapt to the future of healthcare payments. For more information, download the full report: www.instamed.com/trends. How are your peers – the ones you glance at from the corner of your eye and watch as they nip at your heels but fail to recognize in public – working to change health IT and make a play to dominate competitors that haven’t re-invented their firms? Since I wanted to know the answers to these kinds of questions, I put out a call. I asked health It leaders to tell me their points of attack, why those attacks work, how they determined they’re playing the best plan for success and how the dragons they are slaying are reacting. Here are the responses I received, in no particular order, area or specialty. Once you’ve read their stories, share yours. Which dragon are you slaying; which giant are you downing? The six dominant players Kofax sees in this marketplace are Cerner, McKesson, Epic, Allscripts, IOD and Ricoh. We’ve found that the best way to influence the healthcare IT decision maker is to align ourselves with the dominant players they are comfortable using. For example, Kofax is tightly aligned with Cerner for medical records. Ricoh is a reselling partner that has a dedicated team that we work with. And IOD is a business process outsourcer that also uses Kofax solutions. For Cerner and IOD to use Kofax solutions is a huge endorsement to how Kofax is making healthcare smarter with information capture mobile capabilities and advanced analytics. Would we consider ourselves a disruptor? Yes, but we do it in partnership with the dominant players. When purchasing an EHR from a large vendor, customers receive all the modules from this vendor, both the good modules as well as the bad ones. Choosing such a system is always a compromise as no single system can satisfy all user requirements. Is this something that can be improved? Health Samurai believes that monolithic architectures will eventually give their place to platforms and app stores just as in other industries. Apps in the app store have to be united, communicate and understand each other. Only using of a common standard can enable these storage and data-exchange capabilities. Health IT has a long way ahead, but the transition has already begun. International standards organization, Health Level Seven (HL7), has drafted a new interoperability standard called FHIR (Fast Healthcare Interoperability Resources). The standard is open source and was designed using the modern successful IT practices. It leverages web technologies and is focused on implementers. It has a growing community and the potential to take interoperability to a whole new level. As we head into Christmas, and 2015, millions of Americans have hopes for a bright holiday willed with hope, health and happiness. And while America’s consumer engine is in full force, presents are getting bought, wrapped and covered with ribbons and bows, it’s hard to image that there’s little that can’t be bought and given in the spirit of good cheer for the betterment of man and for the greater good. But, as in all areas of life there are a few things that won’t fit nicely in the stocking or under the tree. If only everything we wanted and needed could be placed in our stocking to be unwrapped on Christmas morn, but there’s just too much on the list. The list would be long for those in healthcare – interoperability, improvement of policies, better communication with care providers, and even more, qualified employees to join healthcare-related ventures. If only some of these Christmas wishes could be packaged and stuffed in the stocking. Here are a few ideas from several healthcare folks who wish they could make the world’s dreams come true. Common language between all healthcare electronic health records (EHR) systems, such that they can communicate with each other and patient notes may be accessed between all providers. We have gone digital, but none of the systems communicate with one another. This does not make any sense. Patients should be able to elect to have their records “shared” between systems when they visit other physicians, and more so to have their accounts sync’d between systems so that all physicians are up to date with all tests, procedures and visits. For now, the only thing EMRs have provided for is more legible notes that are inundated with information required by national standards regulations. Healthcare is far beyond the rest of the IT world. Indeed, it functions in the pre-internet era – we have electronic systems, but they do not communicate in any meaningful way. Healthcare IT is still functioning as if we are in the 1990s. Health IT Christmas wish: Interoperability. By integrating technology and processes across heterogeneous environments, providers automate administrative processes and simplify compliance requirements, resulting in lower operational costs. I would love to see a fully functional telemedicine capability in every hospital and office across the country. What I mean by fully functional is that reimbursement hurdles have been cleared, apps are standard, we have a maturity and adoption model in place all so that patients are receiving the best care from the right clinician in the most optimal manner possible. There are a myriad of things I’d like to find in my figurative “stocking” come Christmas morning, but perhaps the one I’d like to see the most is more widespread patient, provider and payer use of health wearable devices or fitness trackers, i.e. Fitbit, FuelBand, Jawbone, etc. The spread of these devices is something we are keeping a close eye on here at TechnologyAdvice; we recently surveyed nearly 1,000 adults about their use of fitness trackers and uncovered several key insights. Perhaps the most actionable of those insights was that nearly 60 percent of adults would use a fitness tracking device if it would help reduce their monthly health insurance premiums. Of course, there are potential benefits to payers and providers as well — in the push to switch the healthcare reimbursements from a fee-for-service to a outcomes-based model, these devices could provide invaluable information to physicians that would aid in health maintenance, preventative care, and overall population health modeling. As these devices evolve and are able to track more and more biometrics, they could enable less expensive and higher quality telemedicine.